As of TARDIS version 3.2 the plugin allows you to engage Siege mode on your TARDIS. You can read more about Siege mode at the TARDIS wikia. To engage Siege mode you need to add a lever to the console. To do this you can use the /tardis update siege command. All these features can be configured, see details below. The Siege Cube replaces the Police Box when Siege mode is engaged. The Time Lord and any companions of the TARDIS can mine the Siege Cube and carry it around with them in their inventory. While as an item, the Siege Cube is indestructable. If the player drops the Siege Cube on the ground, and there is sufficient room for a Police Box to materialise, the Siege Cube will turn back into a block again. If a player (the Time Lord or companion) RIGHT-clicks the Siege Cube some of their Time Lord energy will be transferred into the TARDIS. The player must have the configured percentage of full charge in order to do this. The Artron Condensers, both the interior one and the server condenser (if setup) will also work as normal while the TARDIS is in Siege mode. Siege mode can be disengaged in three ways. All require the TARDIS to have enough energy. Server admins can restore a TARDIS in siege mode back to its normal state with the command:. The player must be online when running the command, and the TARDIS will be restored back to its ‘home’ location. 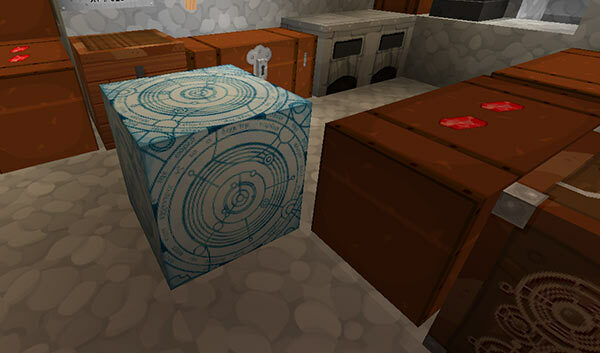 Note: the TARDIS Siege Cube block is a huge brown mushroom with the texture on all sides. As such it is recommended that players use the TARDIS-MCP Resource Pack so that it looks the part and can be distinguished easily.